Southwater has a vast array of sporting activities. Many of these are available through Southwater Leisure Centre, Southwater Sports Club, Fishing Club and the Country Park. There is a wide variety of outdoor sporting opportunities including junior and senior football and cricket, canoeing, walking etc. Your community Leisure Centre not only has a gym with TechnoGym Equipment – Cardiovascular, Resistance Machines and Freeweights but also a large main hall which can be used for badminton, indoor football &, short tennis. The Centre also has a wide selection of rooms available for children's parties, judo, pilates, karate, mother and toddler baby groups, not to mention meeting rooms available for business meetings. 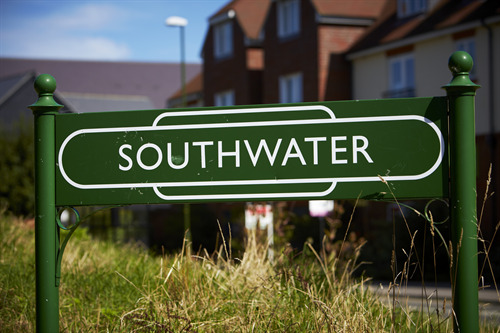 Southwater Country Park: provides canoeing, windsurfing for the more adventurous, and with the Downs Link on its doorstep, provides an excellent starting point for walking and cycling.